Here is a remarkable pair of pictures taken by Biologist and Amateur Meteor Astronomer Carl Fuller of the Greater New York City Area. 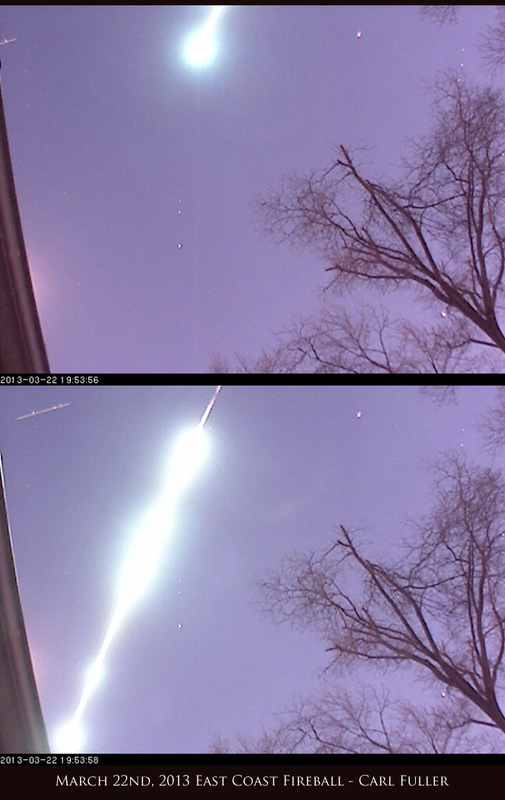 Carl installed an astronomy camera on his roof 9 months ago and was hoping to capture some meteor trails. Looks like he caught the mother lode. Below is an animated gif of both frames captured by Carl’s camera. Each was a two second exposure.